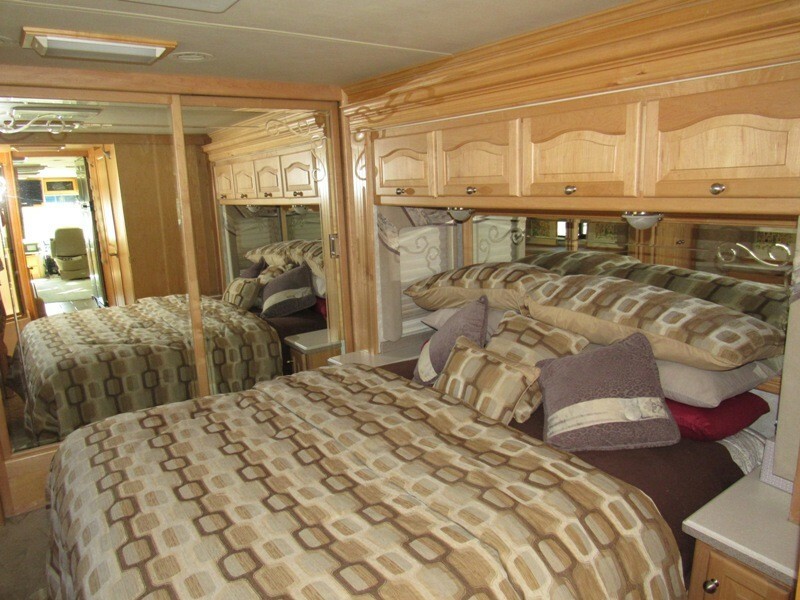 This one-owner coach is a 2004 Tiffin Allegro Bus, 40 TSP three-slide model, arguably the most desired model Tiffin ever made. 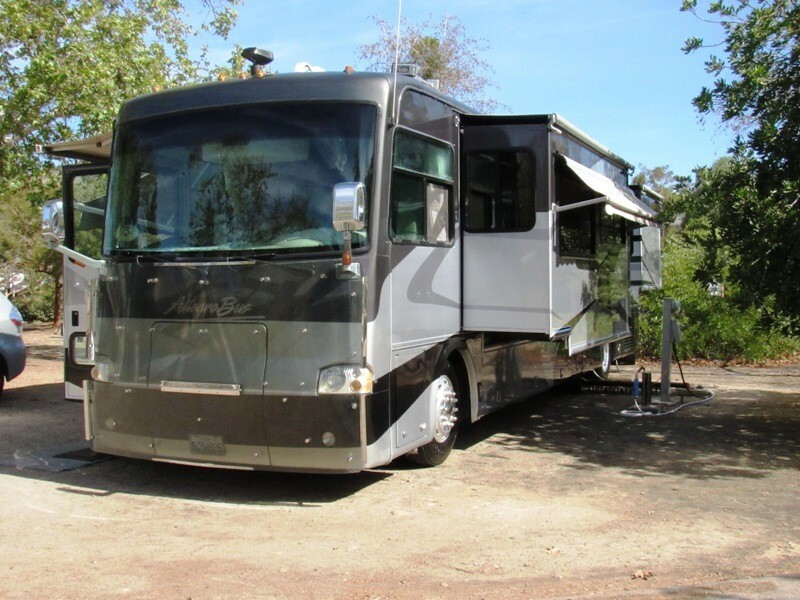 It is set on a on a Freightliner chassis and has a Cummins 400 horsepower ISL turbo diesel engine, Allison 6-speed transmission, exhaust brake, full-body paint and alloy wheels with nearly new Goodyear Marathon tires (120# high-load rated) and a custom acrylic front rock shield. It has just over 100,000 miles and has been meticulously maintained. All maintenance records will be provided with the sale. 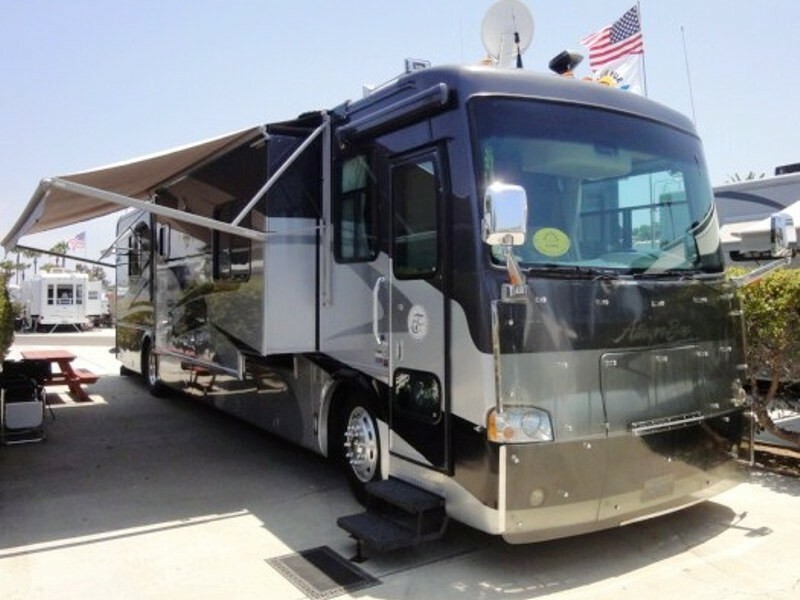 As an additional bonus, the coach has a full extended warranty to 150K miles that is transferrable to the new owner. 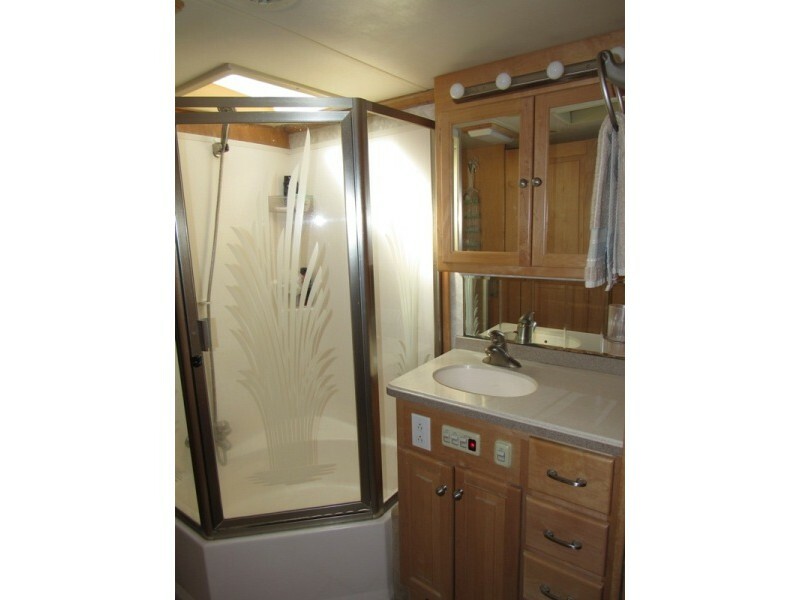 It is an extremely clean, non-smoker unit that is ready to travel. 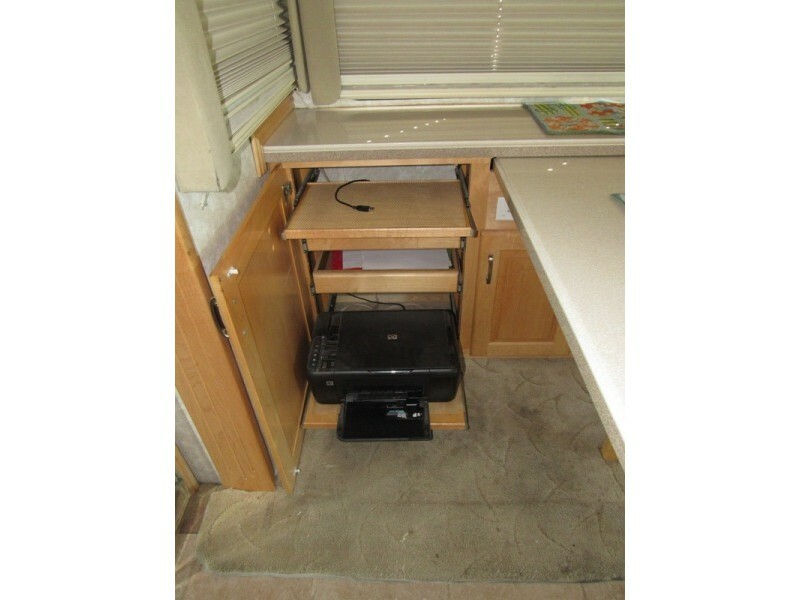 This rig was used to lead motorhome tours and has a lot of extra equipment in its bays that go with the sale. 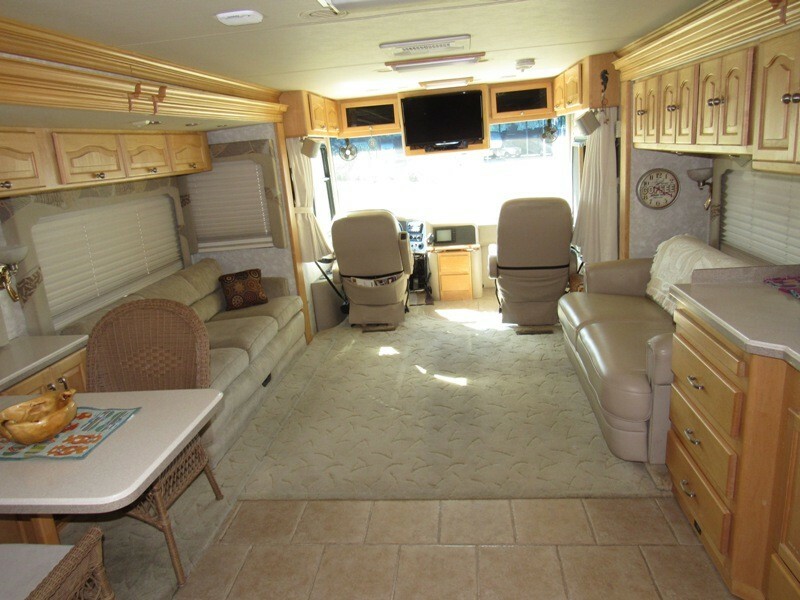 Additional amenities include a 7.5 kw Onan generator and Xantrex 2000 watt inverter, rear monitor, automatic HWH hydraulic levelers, large patio awning with wind sensor plus two window awnings, dual low-profile AC/heat pump units, built-in central vacuum system, a King Jack low-profile digital TV antenna, a MotoSat Executive automatic satellite system with two brand new flat screen Smart TV's, DVD player with full home theater surround sound, Cobra CB radio with side-mounted 5/8 wave fiberglass antenna, roof-mounted cell phone antenna, dual pane windows, full fiberglass roof and caps, and a huge basement storage area with a sliding storage tray that has access from both sides. 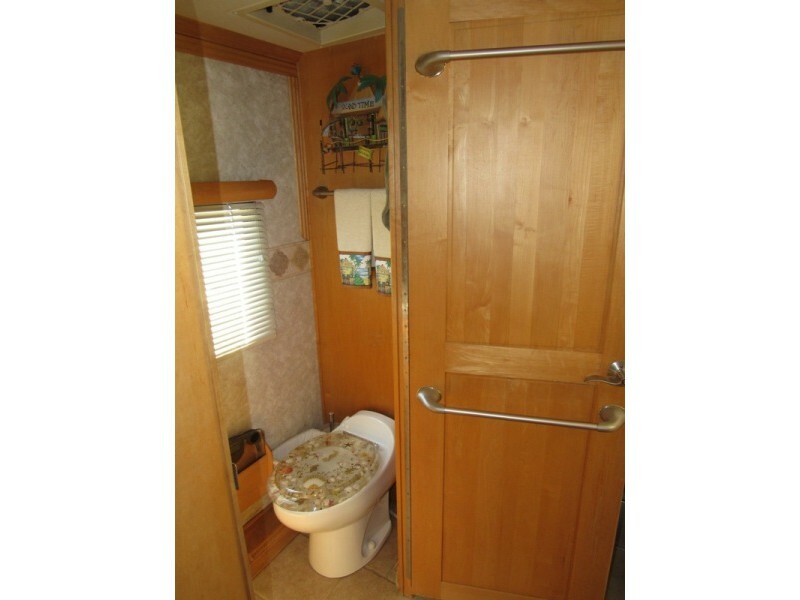 The interior wood is a beautiful light maple. 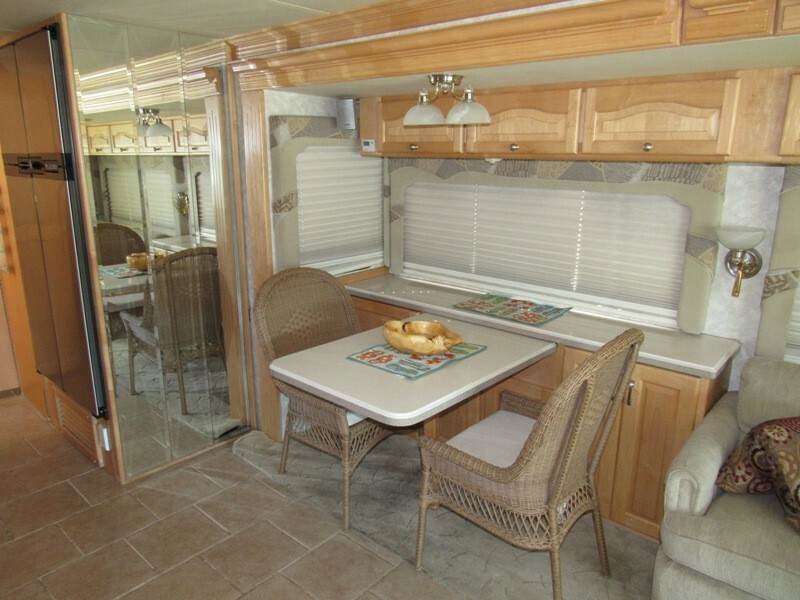 The coach has a custom dining area with an extendable table that seats up to four people. 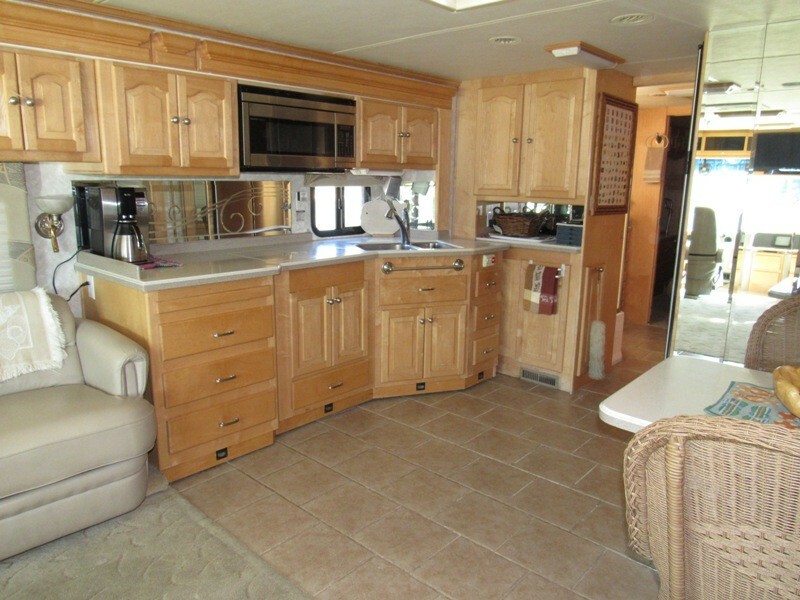 There is extra storage and a full computer station built into the dining area cabinetry. 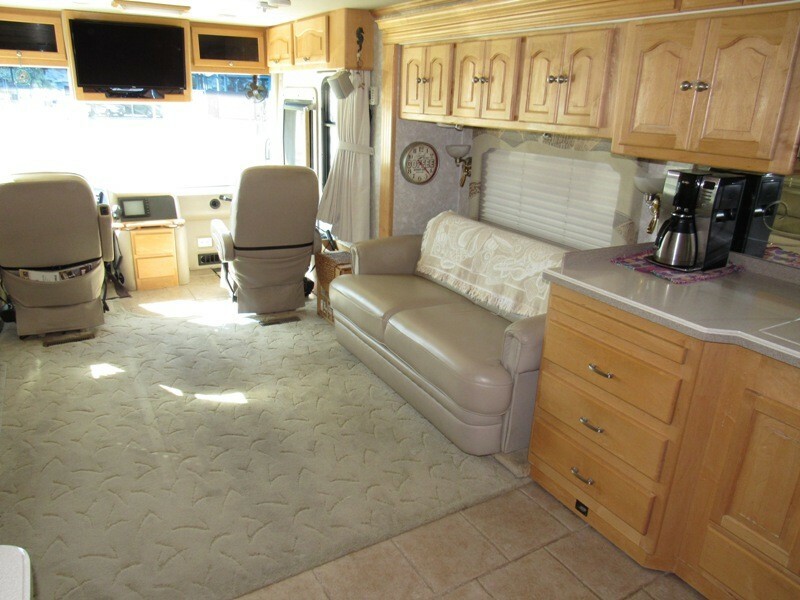 The galley has Corian countertops, a two-burner propane stove, microwave convection oven, and a Norcold four-door propane/electric refrigerator/freezer with icemaker. 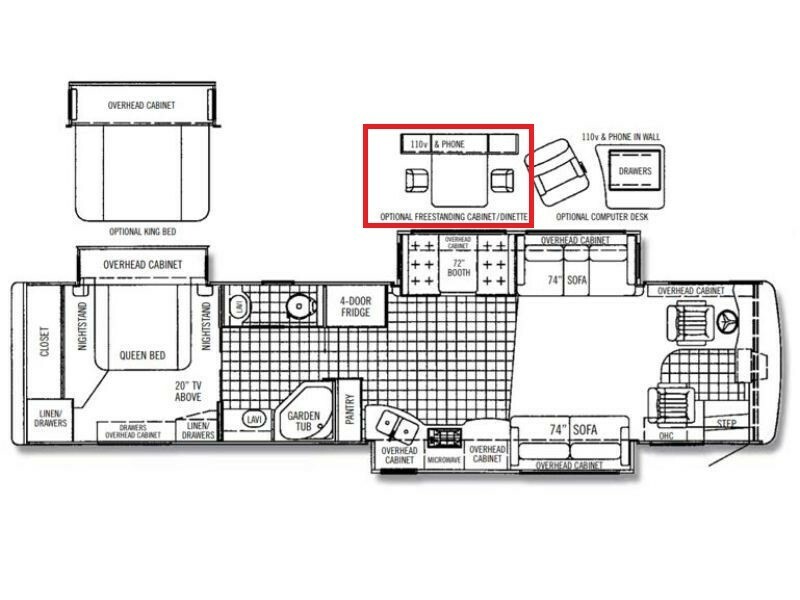 Flooring is large 12" tile and carpet. 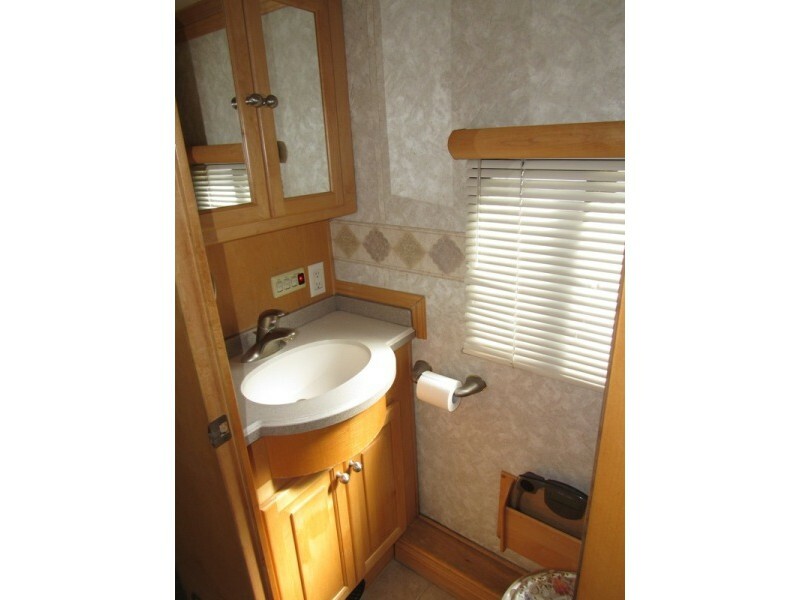 There are two sinks in the spacious bathroom area, a large tub and shower and an electric toilet. 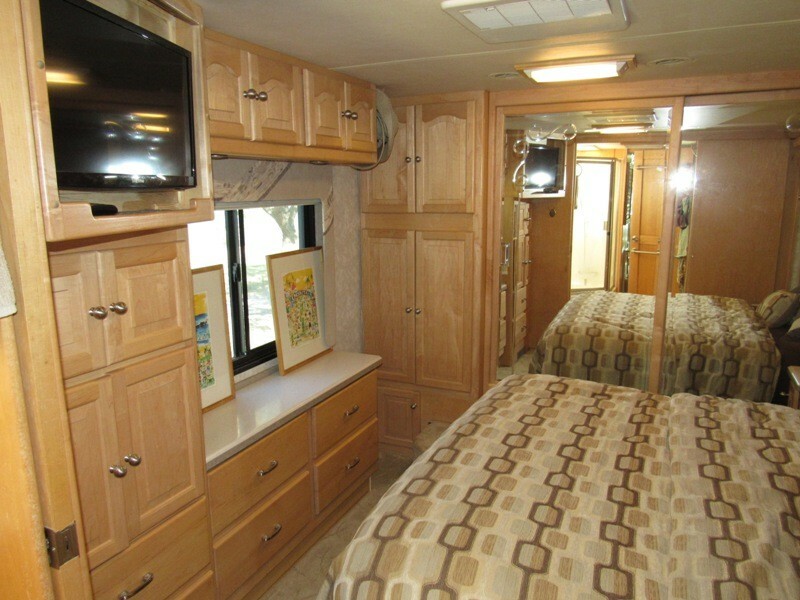 The master bedroom features the third slideout and has a Select Comfort, dual-control, queen sized bed, rear wall-mounted mirrored wardrobe, a storage cabinet plumbed for a washer/dryer and two other separate clothes storage areas.